Bangkok-Thailand’s capital city is no doubt one of the best tourist destination in the world. Hence I find it a bit unnecessary to tell you the reasons why you should visit the city, the better question should be “When to visit Bangkok?”. Here is something which might help you answer that question. 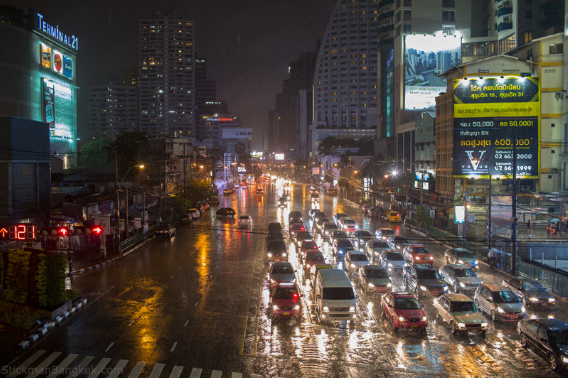 Bangkok has a tropical monsoon climate and generally remains hot and humid throughout the year, though there are times that are worse than the others. March to May: The months of March, April and May are the “hot season” when temperatures often rise to 35°C in Bangkok. The humidity is also very high (around 70%), it can feel extremely muggy and sticky combined with the higher temperatures. June to October: June to October is the “rainy season”, there’ll be rain most days, but often only for a few hours in the afternoon or at night. The rains usually gather force between June and August, coming to a peak in September and October. 2. The best time to visit Bangkok? 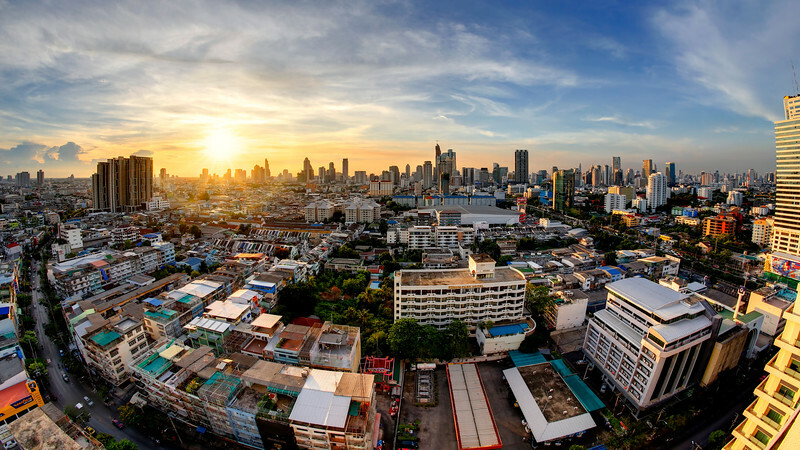 As an ideal vacation spot, Bangkok is almost a year-round destination. Every season has a distinct charm and the city is at its enchanting best all months of the year. 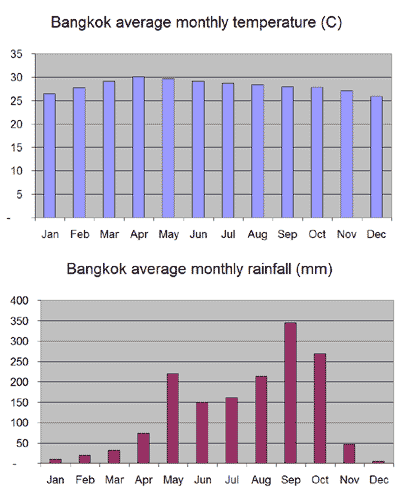 High Season (November through March): While Bangkok is busy and hot year round, there are slight differences between the seasons when it comes to weather and crowds. Late fall and winter bring somewhat cooler and drier weather, while crowds are at their peak. 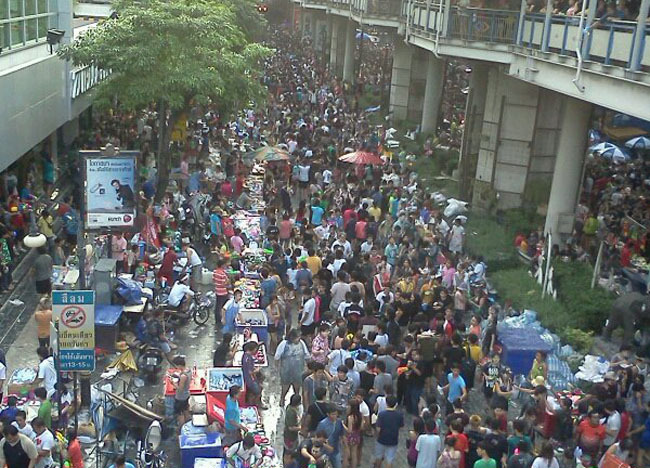 One of the biggest festivals of the year is Songran (Thai New Year), which takes place in mid-April, bringing especially thick crowds, while Christmas and the New Year holidays also see a big increase in visitors to the city. The prices will rise steeply and accommodation fills up quickly. Remember to book everything ahead during these months. 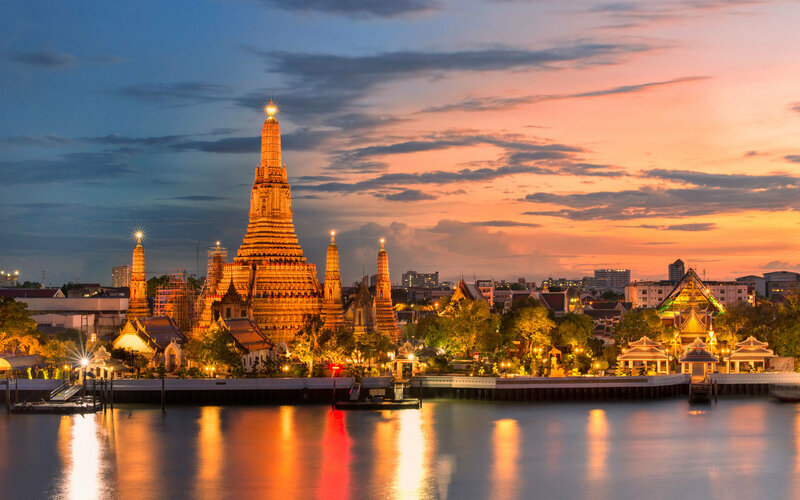 If you love to go sightseeing, late November and early December may be the best time to visit Bangkok, when the city is drying out from the monsoon season and experiencing a slight cool down, and the holiday crowds have yet to arrive. While the crowds may not be as thick during this season, April through June are Bangkok’s hottest months, with April by far the most unpleasant month temperature wise. During these time, booking an air-conditioned room is really a must, you will also need plenty of protection from the sun. September and October are slightly cooler and wetter. Basically, you can expect lots of rain, occasional sunshine and unpleasant humidity this month. The downpours are usually quite heavy, but also short, making it easy to duck into a mall or café until it clears. The prices for accommodation and transportation are lower than in high season. Low Season (July and August): Low season falls during monsoon season, which brings frequent but usually short bouts of intense rain. 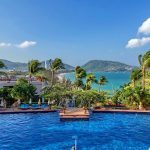 However this could be a great time to visit the city, as you can find some of the best deals on hotels and flight tickets. The weather is quite irritate but not intolerable, the significant savings and a far less crowded city is likely to be worth the bit of discomfort. When it rains, tourists can enjoy the wide range of indoor activities, like visiting temples, aquariums and entertainment complexes as well as the numerous shopping opportunities. PS: If you love shopping in Bangkok then there is no better time to come than between June and August, when the Amazing Thailand Grand Sales take place. With shops offering fantastic discounts on clothes, jewellery and electrical goods, you can stock up on all your dream purchases at a fraction of the price. 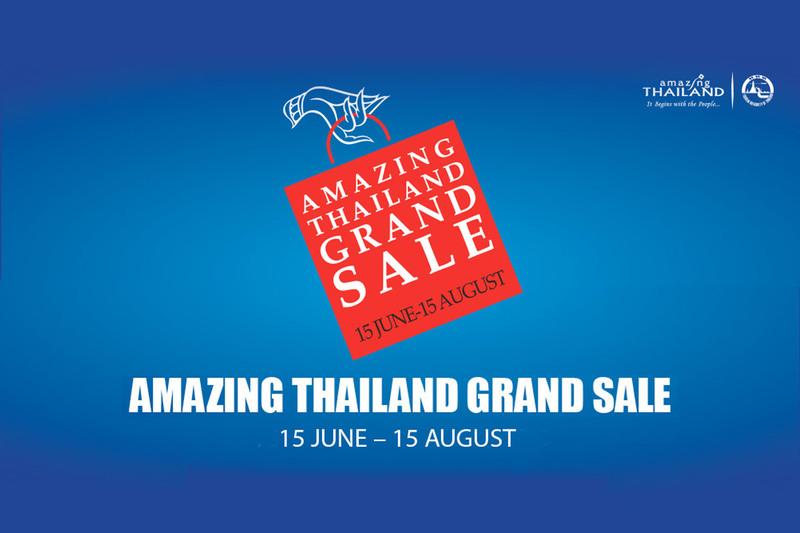 From 15 June 15 August, many shops will get involved in the Thailand Amazing Grand Sale, from Bangkok shopping malls to small local business, but the discount rate will vary. You will also find plenty of offers on hotels, flights, activities and much more. The discounts range from 10% to 80%. Hope you guys will find these information useful, the best time for YOU to visit Bangkok is up to you to decide.